Costume Hats are very handy because you can use it for any event. Whether you attend a costume party, organizing a play, or just celebrating an ordinary day, you can turn any event more special yet whimsical by wearing the right hat. Costume hats are popular during Halloween. But they are not only limited during this scary night of the year as they can also be worn on different occasions where the demand to dress up is needed. Wear them on your birthday, a themed party, or even use them as props for a performance play. There are really no exact historical texts that will tell when people started wearing costume hats for special parties. But it has been noted that aristocrats during the Renaissance period started wearing Costume Caps and Hats–garbs and hats included–when they throw lavish parties. Dressing up in clothes from different period became a favorite pastime of the nobility. Today, there are millions of costume hats that you can get to match the event that you are going to. The best thing about wearing costume hats is that you can wear them at different occasions. You just need to wash them to keep them looking fresh and new at all times. Party Hats are in demand, whether you are celebrating a birthday or any special holiday. 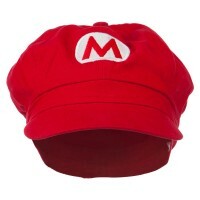 We at e4Hats have the right Costume Hats and caps for everyone, adults and children alike. Visit our site to find the hat to complete your look. Arrive at a Halloween party looking like a real professional ship captain by wearing Adjustable Captain Hats. But there are other work-related hats that you can wear so that you can look your part so you can look like a nurse, nun, or a construction worker by wearing one of our hats. You can also become the life of the party by wearing our Animal Hats. Dress up as Santa Claus, Uncle Sam, a princess or a clown with any of our hats. You have a wide variety of hats to choose from the fits the occasion. Now if you are planning to give a cute hat as a gift to your kids, you can never go wrong with the Crazy Hats. They come in different styles and designs that you can sure from and they all look very cute and whimsical too. But more than looking cute, they also provide warmth and protection to your head.